GREENE COUNTY, TENN. — Three girls were injured, one seriously, when they fell from a Ferris wheel at a county fair in Tennessee. The accident happened Monday evening around 6:15 p.m. at the Greene County Fair in eastern Tennessee. 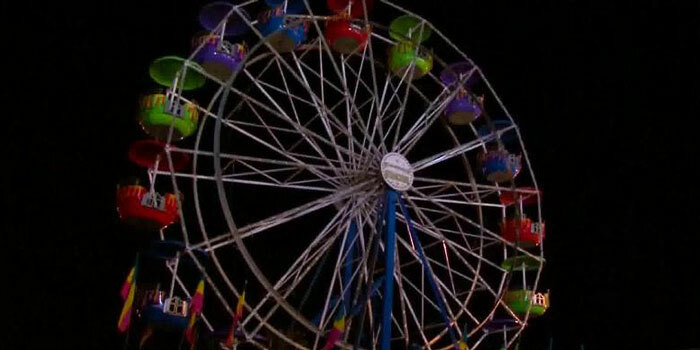 Witnesses say a basket on the Ferris wheel overturned, dumping the three children about 40 feet to the ground. Two of the girls were not seriously injured. A third child suffered a head injury and is hospitalized in the intensive care unit. Both fair officials and police say it’s too early to say exactly what caused the accident, but for now, all mechanical rides at the fair will remain closed. “As a result of the accident and for the safety of all fair goers all rides operated by Family Attractions Amusement Company at the Greene County Fair were closed last night and will remain closed until third party inspections are completed and provided to the fair and the state of Tennessee for their review and approval,” said Bobby Holt, President of the Greene County Fair. Holt added that no rides will operate until those inspections are approved.